Take that little extra time to handle empty containers properly when preparing your spray batch or filling application equipment. Careful emptying and rinsing of containers reduces concerns for human exposures and possible impacts on wildlife and the environment. Save yourself from hazardous waste headaches, and expense, by properly handling paper and plastic containers. Get your money’s worth by using up that last granule or drop. 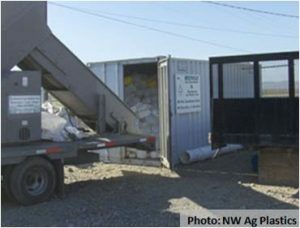 public agencies and commercial pesticide application operations because federal law requires they be handled by certified hazardous waste professionals for their packaging, transport and acceptance at a hazardous waste landfill or incineration facility (DISPOSAL). Lastly, take precautions when handling containers. Wear appropriate protective gear when mixing, loading, and rinsing containers. 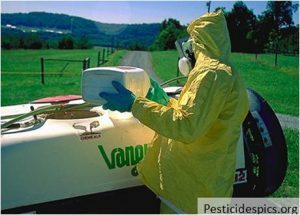 Never reuse a pesticide container for any purpose. Product labels prohibit the reuse of containers and the label is the law.